Lined up outside the Scotia Bank theatre in downtown Toronto, a crowd huddles under umbrellas as it awaits the opening of the cinema doors. It is the week of the Toronto International Film Festival (TIFF); Manto is about to have its North American premiere. “Masjid mein Deobandi, Shia, Sunni, Wahabi — cinema mein ek zaat,” muttered Manto once. He now finds himself, once again, immortalised on the very celluloid. But a branded man cannot be confined within the four walls of a screen. 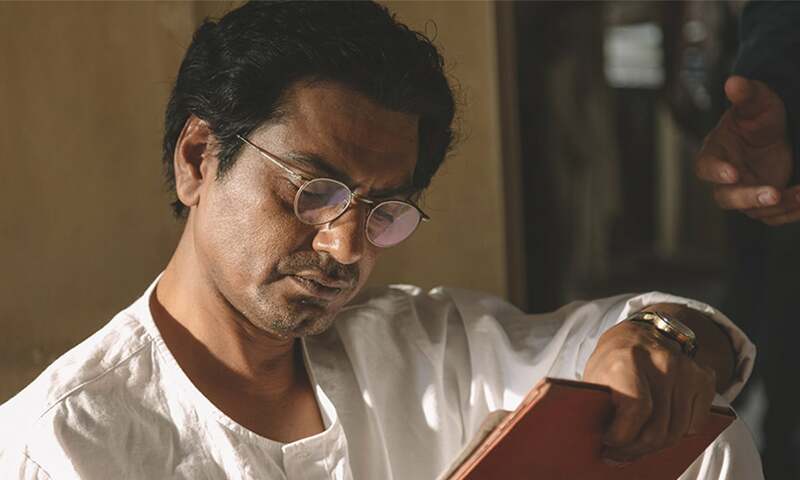 A man who cannot be distilled to a single word – maverick, iconoclast, dissident – refuses imprisonment and so, in characteristic fashion, Saadat Hasan Manto comes bursting forth into the popcorn littered aisles with gusto and bravado in Nandita Das’ latest directorial venture. Manto was neither saint nor sinner. He was simply an observer. Das recognizes this. She is not interested in showing Manto at his desk. For a man who hordes ornate pens, we never see him use them. Of course, writing is not particularly cinematic. We catch him in the midst of the bifurcation of the Subcontinent as a chronicler not only of his time, but of the ephemeral human condition. Das’ narrative acknowledges that Manto and his macabre works are a product of the world which he inhabits, a world in which fact is indistinguishable from fiction. His short stories are peppered throughout the film, coexisting alongside the writer himself. 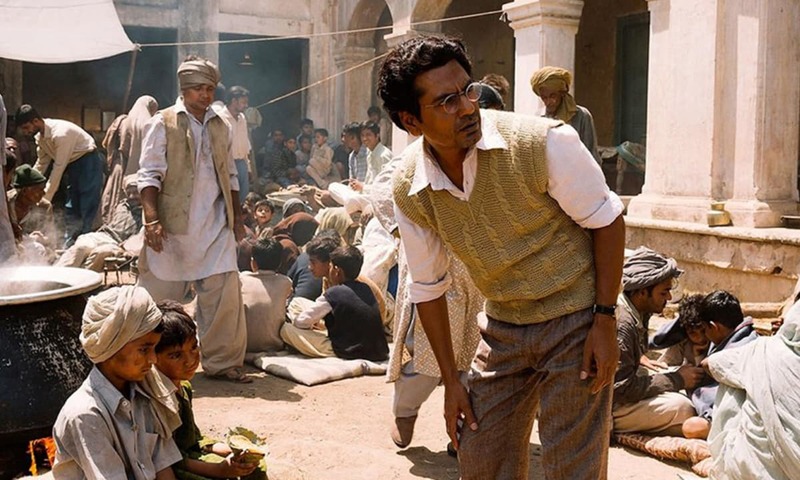 As Manto ambles into a liquor store, cinematographer Kartik Vijay seamlessly pulls us away into the neighbouring room where Manto’s stories come to life. His character's breathe the same air he breathes and witness the same horrors. Manto inhabits his stories and they in turn inhabit him. The film starts in Bombay — the city that Manto loved and yearned for until his dying day. Working as a screenwriter, Manto walks on to a film set and sees a scene he has written being shot—a few dialogues in he shouts out, “What is this!” furious that his dialogues have been tampered with. “Use my work just as it is or don’t use it at all.” His uncompromising and unflinching nature in the face of adversity starts to be tested more and more as the film progresses and the Indian subcontinent moves closer towards independence. Das deftly shows how society begins to morph as religious divisions become increasingly apparent. In one particular instance, Manto is deep in conversation with his friends at a cafe while in the background a young boy tries to hang a portrait of Gandhi onto the wall. The film manages to capture the spirit of a land on the precipice of radical change and a man who is caught in that storm. But for audiences not wholly familiar with the history of the partition of the subcontinent and the British Raj, Das does little to establish that background for an audience watching it as a foreign-language film at the TIFF. Rita Ghosh’s production design constructs a world which appears alive, lived in and tactile, and the characters which populate it diffuse effortlessly into their surroundings. This feeling of immersion is furthered by a finely woven musical score by Zakir Hussain which punctuates the drama at all the right moments. Horror moderated by grim humour is characteristic of Saadat Hasan Manto’s works. But he does not merely write, he empathises, he stares at the madness surrounding him with a certain bemusement. He has a detachment and humanity to put it all into perspective. Similarly, the film isn’t interested in reveling in the atrocities which plague society. The camera never lingers too long on terrifying sights. Das trusts the audience enough to fill in the blanks for themselves. Siddiqui is in fine form here. He portrays a man who embodies many contradictions — apathetic yet deeply accessible, vindictive yet vulnerable. Manto’s wry wit and ability to turn a phrase are also on full display. Siddiqui sneers, guffaws, mocks and lectures with equal vigour — always poised with a stinging retort to any verbal jab thrown his way. What concerns Manto is not the fine he has to pay for producing “immoral” content; it is the fact that Faiz Ahmed Faiz holds his literature in poor regard. Siddiqui’s Manto is a man who deeply values his own writing, has a penchant for smoking only branded cigarettes and relishes in exchanging pointed words with the likes of fellow writer Ismat Chughtai (Rajshri Deshpande) and the budding star Sunder Shyam Chadda (Tahir Raj Bhasin). He delights in his status as a renegade. It is however in the exploration of interpersonal relationships that Das’s writing shines through. Rasika Dugal, who portrays Safia, the level headed wife and counterweight to Manto, manages to take what may appear to be a thankless part on paper and imbue it with such a resolute endearment that she effortlessly stands toe to toe with Siddiqui’s Manto. The toll that Partition takes on their marriage and the burden of caring for a family in cash-strapped times helps lift the veil on a relationship marked by one man’s mercuriality and one woman’s stoic steadfastness. In the end, it’s in these quieter moments at home that Siddiqui and Das allow us to gaze at Manto not as a provocateur, but simply as a man. In contrast to Manto’s life in Bombay, his angst in Lahore palpable. He is emotionally, economically and socially vulnerable. But it is in this latter section of the film that the narrative begins to falter and the steady pace of the film takes a hit. Dialogues become trite, scenes dissolve into predictably drab sequences and the robustness of the earlier sections begins to wane, but despite all this, the central figure always remains deeply alluring. Saadat Hasan Manto will always remain a man who escapes any conventional definition. The film does an admirable job of trying to succinctly capture all his colours but, in the end, no screen is big enough to contain Manto. 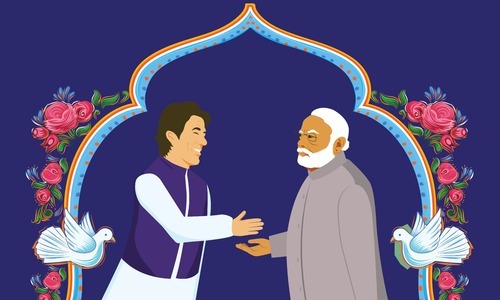 Zehra Nawab is a storyteller with illustration, journalism, theatre and film as her canvasses.